The Children’s Fine Art Classes program, led by Julie Schweitzer, engages and inspires the next generation of creative leaders by providing intensive, in-depth art experiences to visually talented and motivated elementary and middle school students. Since 1925, the program has offered concentrated studies in two-dimensional art that include studio practices in drawing, painting, and mixed media; art history; critiquing skills; and aesthetics. Each student is provided a $350 scholarship to attend so that economic status will play no part in a child’s participation or placement. A registration fee is paid by those who are financially able to support the program. Registration begins on December 3rd, 2018. Programs are hosted for elementary school children at the Griffin Street Recreation Center, and for middle school children at Scribner Middle School. In this class students begin to learn to create glass mosaics using various cut-glass techniques. The class will include learning the use of traditional tools and materials. Students will create a 12 x 12” mosaic. All materials are included in the cost of class. 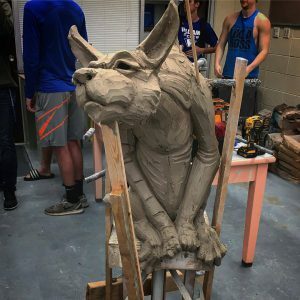 During this workshop students will create a 25 – 75 lb. sculpture working alongside the artist. 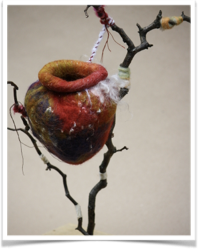 The artist will do a demo of building a solid sculpture on an armature. The demonstration will include hollowing out, carving and a variety of mold making techniques. Workshop includes lecture about the artists process and work. 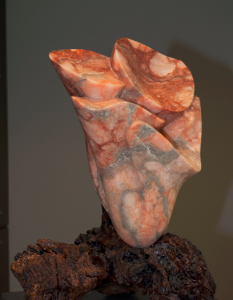 You will learn how to sculpt soapstone with traditional hand-tools, such as knifes, rasps and files. 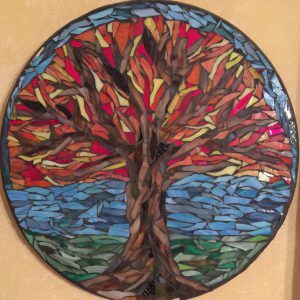 Together, in a lovely park setting, we will explore each stage of the creative process from selecting your stone and choosing your subject matter, to displaying your finished artwork. Students should wear leather gloves and bring a large towel. No previous experience necessary. Limit 8-10 students. Move steel to your will! This class will teach you the names of the tools and how to use them to make a beginner’s project from steel. You will learn how to start a coal fire and then how to heat metal and shape the metal into a usable shape. 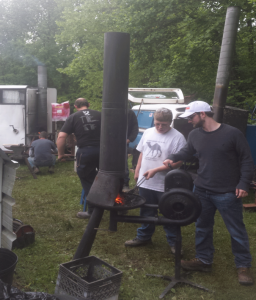 Safety will also be covered as well as a bit of blacksmithing history. Afterwards, you can take your project home. We provide the tools, safety glasses, forge, anvil and materials. You need to come in natural fiber clothes (cotton is good) that can get very dirty and leather shoes or boots. 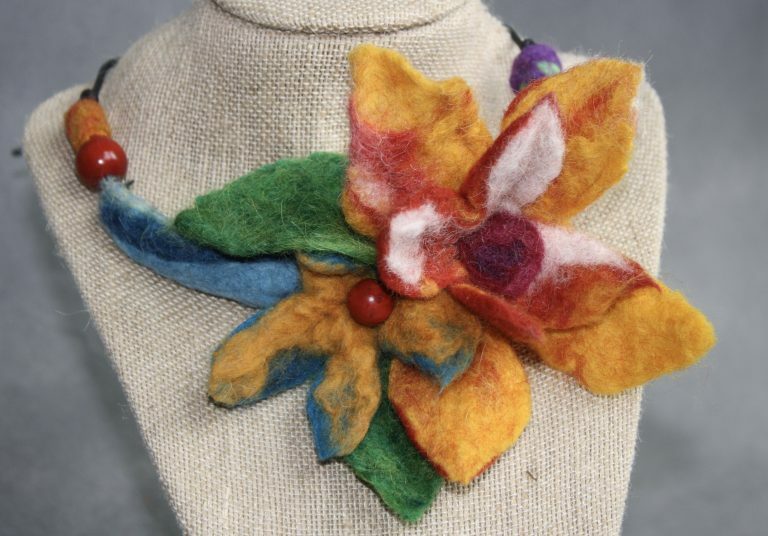 Students will learn how to make a 3D wool flower using the Wet Felt technique. In this class we will craft beads, a free-form flower that includes the petals, and stem. Students will learn how to properly lay out the wool, color combinations, design and techniques for sculpting. 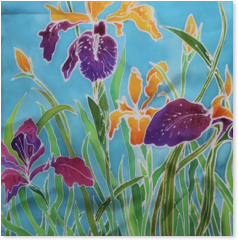 Students will also learn surface and color design, how to work with wool roving, how to make coils and how to attach various parts of the flower. No experience necessary. Limit 10 students. Materials cost: Materials are included. Bring a bath towel for sopping up water. 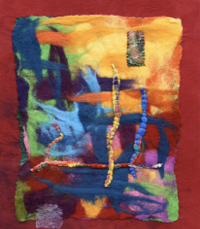 This hands-on workshop will teach participants the techniques needed to create flat felted-wool painting using a variety of techniques. This fast- paced immersion class will give participants the confidence to create with color and composition. Wear comfortable clothing and shoes that can get soapy and wet. No experience necessary. Limit 10 students. ArtSeed’s Artist-in-Residence program focuses on a concept, gathering a little support, and a sprinkling of courage to develop and grow something new. ArtSeed provides students, teachers and communities with direct hands-on experiences through personal interaction with Artists. ArtSeed encourages our Artists to share and explore their artistic disciplines with schools, faculty and communities through outreach and education. Components of this program include workshops, classes, and discussions. These specialized events will align with the National and State Art Standards while crossing the curriculum through hands-on experience that open opportunities for reflection, personal insight, and empowerment. We believe through art, students become more engaged learners, and develop their own identities as creative individuals. Dates, times, locations and costs are determined by your individualized plan. Please contact Julie Schweitzer at julie@artseed.art to schedule a meeting to create your art experience.